I just had the feeling that I need to share this. It's something about online shopping. I know many people out there are too scared to shop online and sometimes rather went out the shopping mall just to buy something. And it's not a surprise that the cost is much higher than the one online but people are just too afraid to believe it thinking that it might be fake and not even worth to buy. Yes, no doubt things like this happen when it came to you the things you ordered was far beyond what you imagine. So here are some tips. 1. Always go to a trusted website. 2. Search thoroughly for the things you wish to buy. 3. Make sure to read all the recent reviews of the product. 7. Be careful of the offers that are too good to be true. So, I'm done with the tips. Now let's do some fun stuff by looking out for good stuff to buy online. One of my favorite website to shop online is LAZADA.COM. I agreed that everything can be shopped online but there are just some things that you have to buy it online. Let me tell you one of the things that I bought from LAZADA. I am a big fan of gadgets and accessories although I didn't show much. 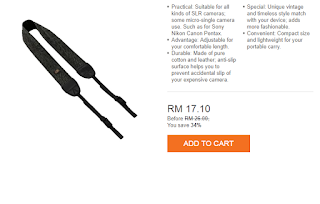 Recently I bought a camera strap from Lazada and guess what I came just as described on the website. It's affordable and I am so happy that the quality was great as well. You can just click the picture to get to the website I mentioned. Wait, there's more than just this one style. Let me show you a few more which might catch your interest if you're a gadget or accessories lover. You might wanna try and find a fancier strap for your camera so here are a few. For all travelers out there, here are some accessories that you might want to consider buying everytime you go travels anywhere. 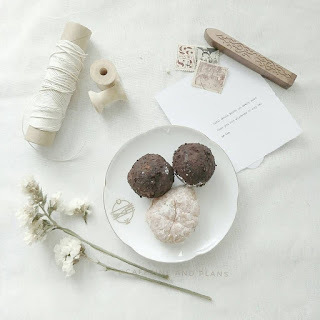 Believe me, it'll help a lot to get these things with you when you travel. I personally had my own pouch already. A pouch is a must for me when I travel because it helps to keep my things organized inside my bags and luggage. I hope this helps even if this is nothing much of a good review of info. Kunjung balas.. Tq singgah blog ira. 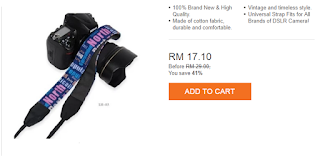 Mmg betul, kdg2 nk beli online ni takut brg x sampai, x sama mcm kita expect. 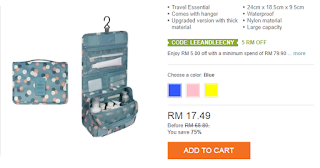 Tq share tips online shopping. Cosmetic pouch tu menarik la.. Blh terjah ni.. Hihi..
good sharing sis.. kalau lazada cikyan biasa la beli.. kalau yg lain tu, hmmmm.. takut jugak ! betul. kite dah tau yg ni trusted. yeke mama. wahhhh. I am so glad I share this. yes so true. ni pun one the best tips to use bila nak beli apa2 online. i can see that. oh yes. reading the reviews will always be so helpful. i just purchased 6 dresses from lazada! scary betul dunia skrg. kdg2 tu kalau pegi untrusted website, penjual pun boleh tertipu. Hai thanks info menarik ni. it does help!!!! thank you ray!!!! Thanks for sharing.. Kadang terlepas pandang.. I'm glad it helps. my most pleasure. that's great. kite kene berhati2 n baca betul2 all those important informations.